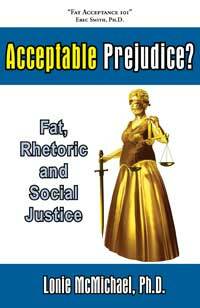 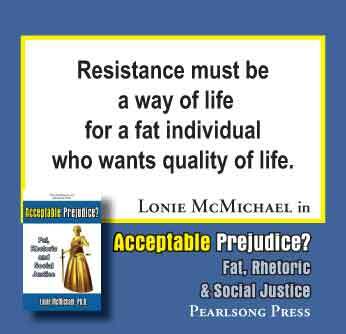 Pearlsong Press - Acceptable Prejudice? 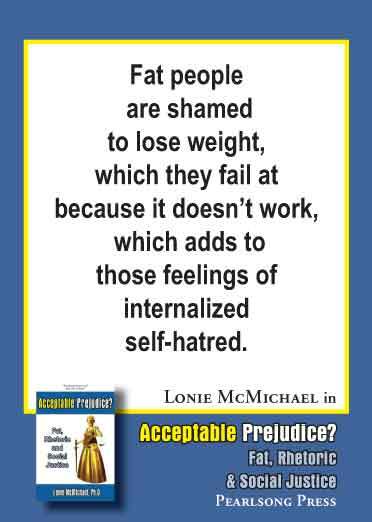 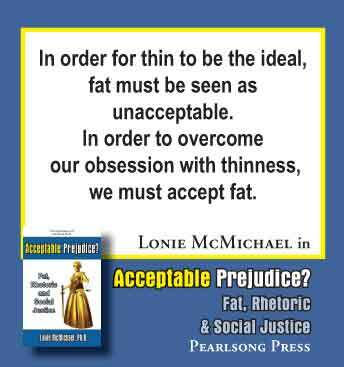 Fat, Rhetoric and Social Justice by Lonie McMichael, Ph.D.
Lonie McMichael earned her Ph.D. in technical communication & rhetoric at Texas Tech University, and is currently teaching at the University of Colorado in Colorado Springs. 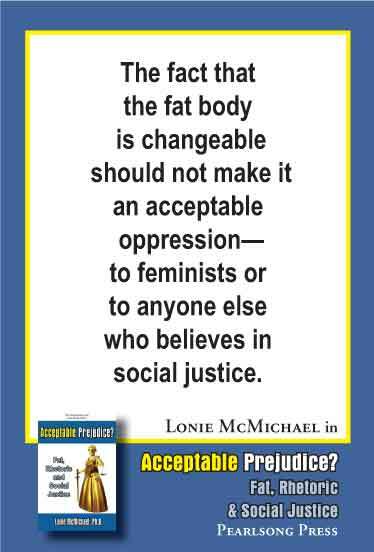 Acceptable Prejuice? 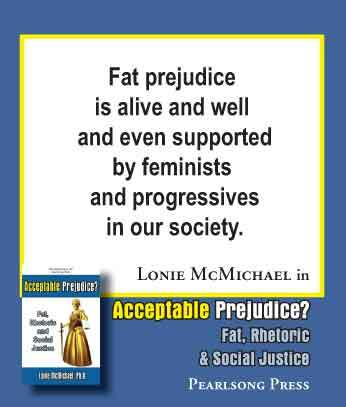 is her second book. 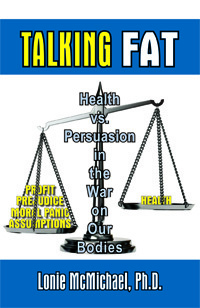 She is also the author of Talking Fat: Health vs. Persuasion in the War on Our Bodies (Pearlsong Press, August 2012).